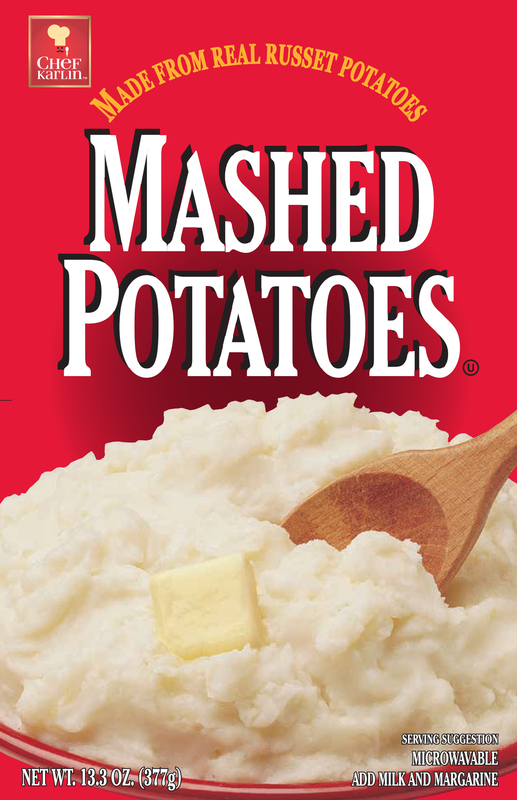 Ingredients: Dehydrated Potatoes (freshness preserved with Sodium Acid Pyrophosphate, Sodium Bisulfite, and Citric Acid), Mono- and Diglycerides. Heat water, margarine and salt to a boil in a saucepan. Stir in milk and potato flakes with a fork until potatoes are desired consistency. Note: For thicker potatoes, stir in additional flakes. For creamier potatoes, stir in additional milk. Combine water, margarine, salt and milk in a microwaveable bowl. Stir in potato flakes until just moistened; cover. Microwave on HIGH using chart (above). Stir with fork until potatoes are desired consistency.